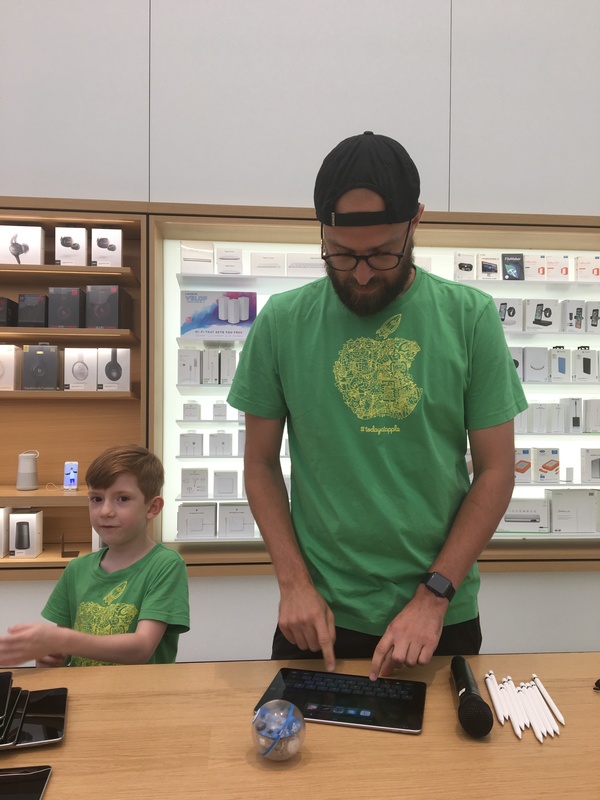 Things to do during the Summer hols #1 – Learn computer coding at the Apple Store! This was a 3 day free course. And you get a great free t-shirt! You should really go on this as they do lots of different courses. 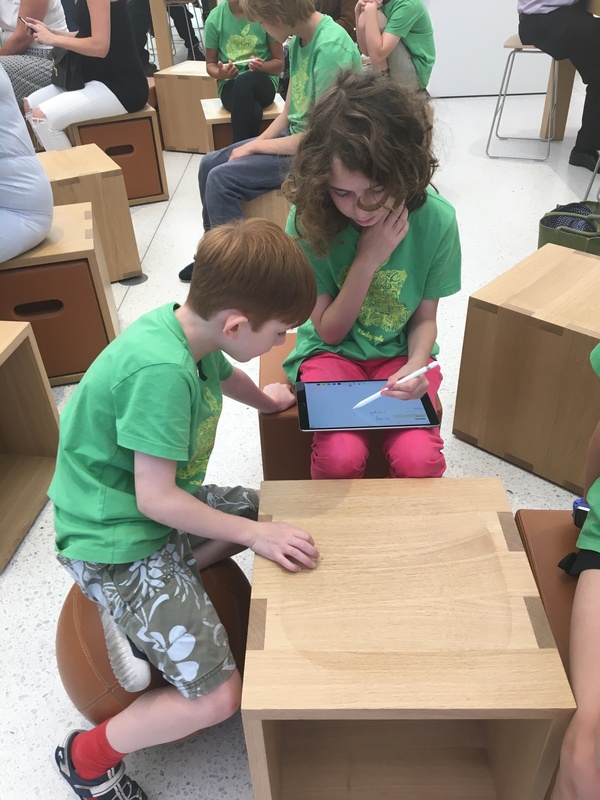 Day 1 – We got our t-shirt and were then introduced to the little Sphero robots. These are little sphere-shaped robots operated by an iPad and you could make them roll around on the floor. We then learnt some basic coding concepts with used drop in blocks like I had used before in scratch and kodu. I could change the direction and colour of my robot. Day 2 – We played the Animal Catch game with the spheros which was good fun. We then learnt Functions and Variables coding and created our own games! 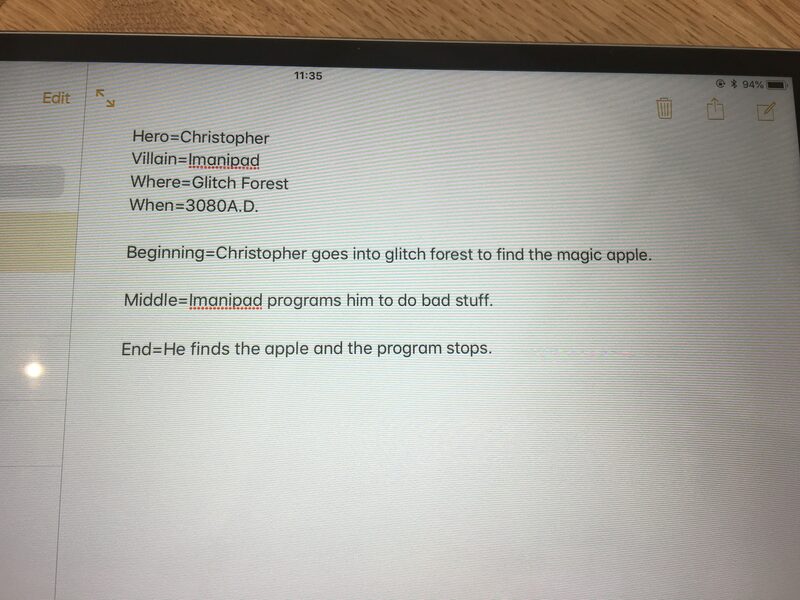 I created a Random Variable so that my little Sphero could go wherever he wanted, and he nearly wandered off out of the store and he got lost! 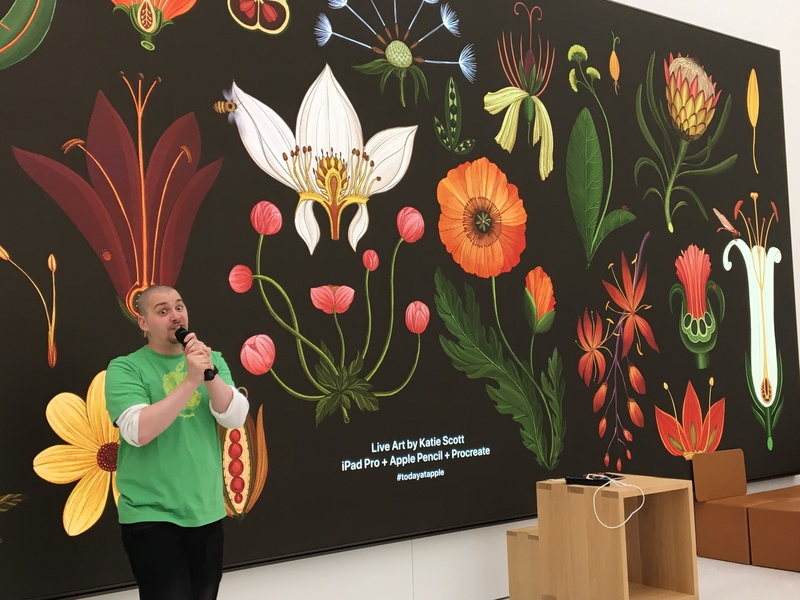 One of the Apple guys brought him back. 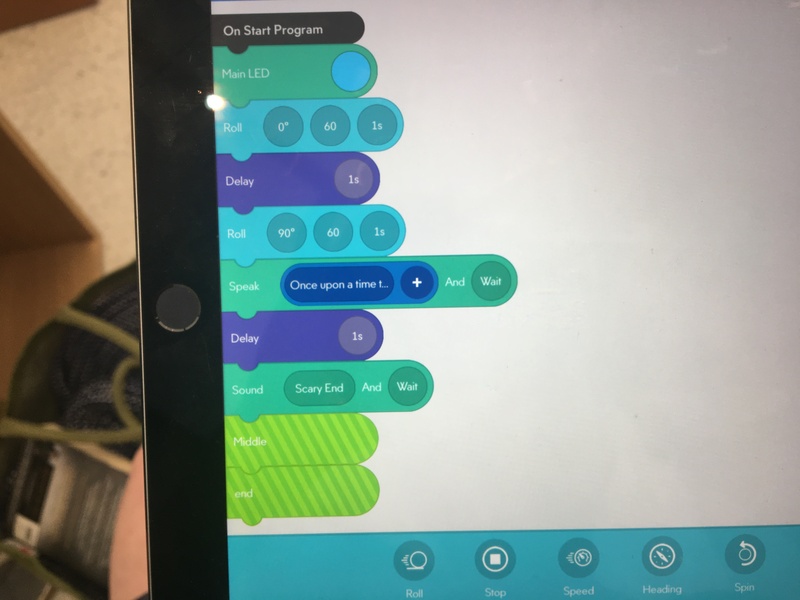 Day 3 – creating stories with Sphero edu. Today we made up stories with our Sphero. Mine was called Christopher. At the end of the course we all got a certificate. It was a brilliant course and I would like to do another one. I would really like to do more coding with a Sphero robot as it was really fun. After the course, more courses were displayed on the screen. 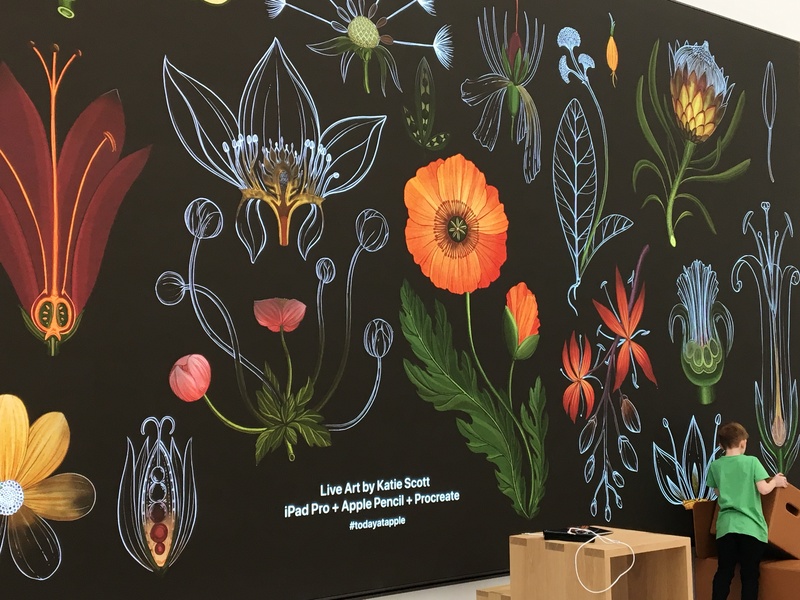 This looked good – it was animated. 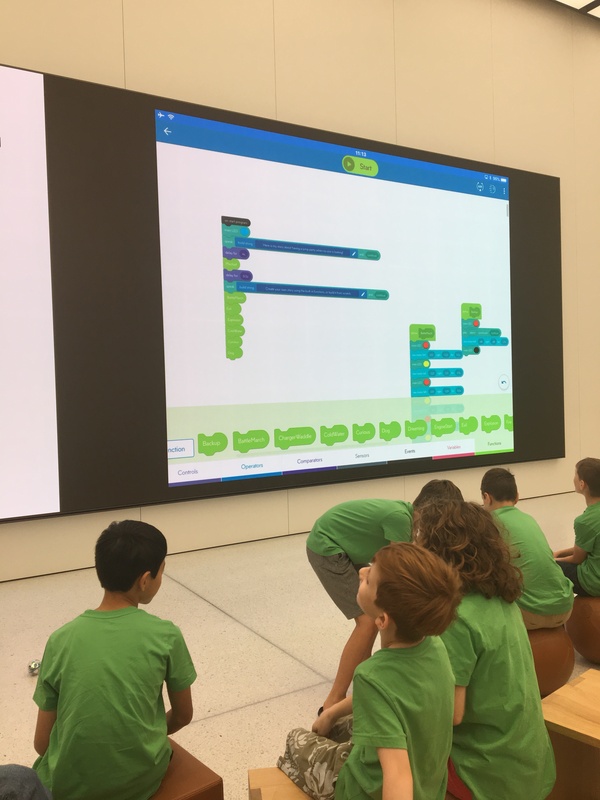 This entry was posted in Day Out, Exciting Event, Product Review and tagged apple, apple computers, sphero, summer holidays, today@apple. Bookmark the permalink.